Tow Truck Insurance Ohio – Quotes and Coverage Available Seven Days per Week! Are you looking for Tow Truck Insurance in Ohio, Michigan, Indiana, Minnesota, Maryland, Kentucky, Tennessee, Georgia, or Florida? If so you have found the right place. Call Pathway Insurance by dialing 1-800-998-0662 Monday through Friday 9 AM to 5:30 PM Eastern Standard Time. Ohio Tow Truck Insurance Quotes. Tow Truck Insurance Ohio – Having Trouble Finding Insurance? 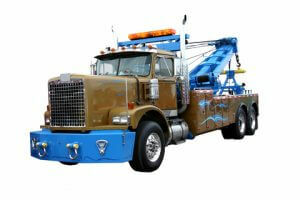 If you are having trouble finding companies willing to insure Tow Truck Companies you are not alone! One of the biggest insurance companies offering Tow Truck Insurance in Ohio recently placed a moratorium on new business making it difficult for Tow Truck Companies, especially new startup companies, to find the insurance they need. We have good news — we can help! Because we specialize in offering Ohio Tow Truck Insurance we have the market reach to find the coverage you need. Tow Truck Insurance Ohio – Rates are Going Up! Because rates are going up due to one insurance carrier’s exodus from the Towing Market it’s important to work with an insurance broker like Pathway Insurance as we have the ability to shop the market among the remaining companies offering Commercial Tow Truck Insurance. There are some steps that you can take to keep rate increases at a manageable level and we will consider some of those strategies right now. Step One — Don’t Let Your Insurance Lapse! Some towing service companies have been somewhat careless in keeping their commercial insurance payments up-to-date and they have allowed their insurance to lapse. This is something you want to avoid at all costs. You cannot run your business without commercial auto insurance. Insurance companies consider those who forget to pay their bill less than a desirable customer. Insurance companies also realize that those who have had a lapse in coverage are likely operating their vehicles without insurance, which is not smart. Insurance companies are not benevolent nonprofit entities, they want to make money as well and they are less likely to provide good rates to those who have shown a measure of irresponsibility. Make sure your premium payments are made on time and do not allow your insurance to cancel for nonpayment until you have secured coverage with another company. What’s the next step to make sure you do not get overcharged on your insurance? Step Two — If You Buy an Existing Tow Truck Company Make Sure They Have Not Been Blacklisted by Insurance Companies! Did you know you can be blacklisted by insurance companies? It is absolutely true. If you purchase trucks from a tow truck company that has been blacklisted by insurance companies, you will also be blacklisted and will pay the highest possible prices for Ohio Tow Truck Insurance! The below is a true story, the names have been changed. Example: John and Jane Doe purchase four tow trucks from an owner who claims to be “retiring” from the business. They get a great deal on the trucks, they sign contracts with local municipalities, and the last step is to obtain the Tow Truck Insurance. They call a local insurance agent in their city, he takes down all of their information including the serial numbers of the trucks, the names and driver’s license numbers of the four drivers and 10 minutes later after that company runs a report, John and Jane Doe are immediately rejected. They call another agent, the same thing happens with a different company. They call a third agent, the same thing happens with still another company. They called our company and every insurance company we represent turned them down, except one. The normal rate would be around $7000 per tow truck in their location. The only company willing to insure them came in at $16,000 per truck! They were stuck, they had no choice. Pay the outrageous premiums or close their newly formed business. Only one company was willing to take a chance and insure them based on the track record of the previous owners. The previous tow truck company had been blacklisted for claims and safety violations. The owner’s retirement was likely a forced retirement because he could no longer operate his business. Before you purchase the assets of a tow truck company or even the individual tow trucks themselves, make sure the owner has not been blacklisted. That blacklisting will follow the new owners in every instance. Why do insurance companies penalize new owners? We will answer that in a future post. Tow Truck Insurance Ohio – We Are Open Seven Days per Week!